MTS India, the mobile telephony services brand of Sistema Shyam Teleservices Ltd (SSTL) has launched its CDMA Mobile services in Andhra Pradesh promising the best value proposition for its subscribers from among existing operators and competition. The MTS to MTS charges within Andhra Pradesh will be one paisa for four seconds. 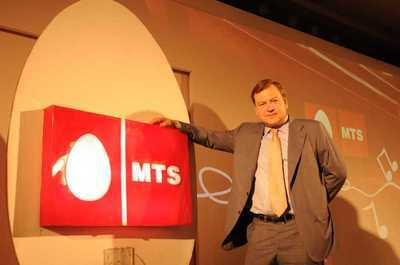 With its presence in Andhra Pradesh, MTS completes the roll out of its services in all the four South Indian States. Andhra Pradesh will be the 12th telecom circle which MTS is entering with its bouquet of services. All major cities and towns in the State are already covered by MTS for mobile Internet connectivity in the first phase of launch itself. A total of 557 of towns will also buzz with MTS phones. Complete national roaming facility is extended to the customers in the State. With the launch in Andhra Pradesh, MTS voice and data services are now available in 6 largest metro cities of India. MTS services across India have gained popularity for its superior network quality and affordable pricing. MTS voice and data services are available across India through national roaming arrangements. Mr. Suresh S. Kumar , Chief Operating officer of Karnataka & Andhra Pradesh, said “MTS in Andhra, will have its network presence across the State from the first day of the launch, giving the subscribers the benefit of our special offers between MTS to MTS calls. can i use that cdma mobile in india at andhra pradesh ? if ,is there any data plans for that cdma mob? this can be done by any mobile service techie for nominal charges. you then can move to any cdma service providers available in AP, like reliance, tata indicom(docomo) etc. thats it.